We strongly recommend booking your class in advance and showing up 15 minutes before class to get started, especially if this is your first class with us. And really that’s the hardest part — showing up! Sign up to be the first to hear about upcoming event, promotions, announcements and other exciting StarCycle stuff! We proudly offer craft-based childcare in a light-bright and cozy StarKids Play Lounge. We pride ourselves in finding thoughtful, patient caretakers to watch over your littles while you make time for yourself on the bike. Check out our full schedule and pricing on our packages and monthly memberships on MindBodyOnline. If you don’t already have a MindBodyOnline account, you will need to sign up—it’s free and easy. You can also call the studio to schedule your class or to get help setting up on MindBodyOnline. We recommend a monthly membership if you ride more than 2 times a week. Must be at least 14 years old to ride (with a parent) or 16 with a signed waiver. 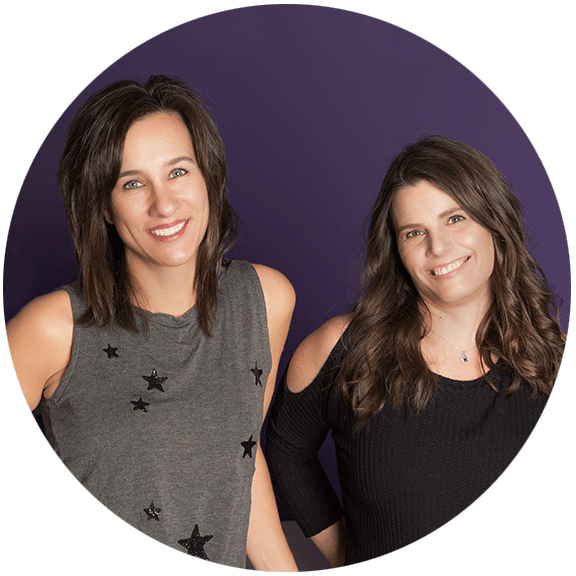 Anne and Yvonne, both originally from Northern California, have always had an interest in health and fitness,from mountain biking to hiking, yoga, running, skiing, competing in triathlons, boot camps and other group classes. At Cougar Run elementary school, where Anne and Yvonne met as parents,they began a health and wellness committee with a goal of encouraging healthier food and fitness opportunities for students. After corporate careers in international business (Yvonne) and human resources (Anne) in San Francisco, Kansas City, Chicago and London, they both settled in Highlands Ranch 15 years ago. Anne and Yvonne are excited and grateful to all of their clients whose support have allowed them to run a woman-owned business that makes a positive impact on people’s lives. There is nothing more rewarding than hearing they’ve helped someone find a workout they can finally enjoy, and sustain! StarCycle Centennial borders Highlands Ranch, in the Fairways Plaza shopping center at the intersection of Colorado Blvd and County Line Road. Around the corner from Blue Spruce Brewery, near Woodley’s Furniture and just a block south of South Suburban Golf Course. You can cancel a reservation up to an 6 hours before class. Late cancellations or no-shows incur a $20 charge to accounts with an unlimited monthly membership or the reduction of one class from a class package.